Mid-June through to mid-August marks my brief hiatus from the birding world. The desire is there, but unfortunately the birds usually are not. They’re busy making the next generation, and later, preparing for the long journey back to their southern wintering grounds. 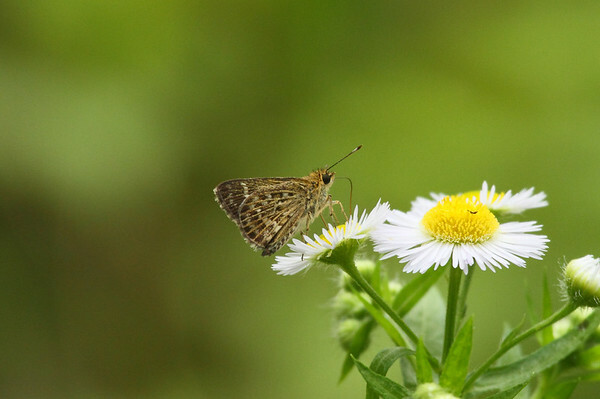 So in the “dog days of birding,” I turn my attentions to butterflies and dragonflies. While I don’t go after these creatures with the same flair and gusto as my avian obsession, I still enjoy discovering new species and finding unexpected surprises. 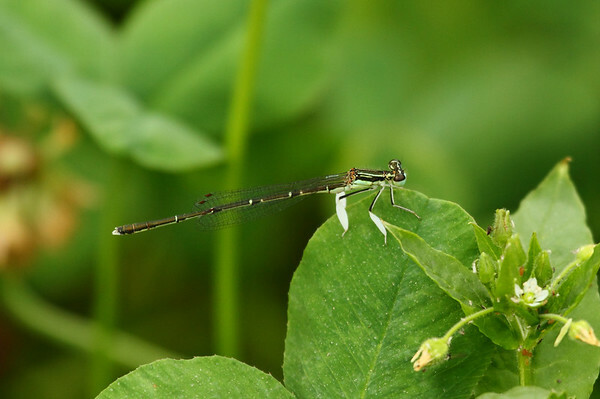 The identifications are a lot more challenging (especially with dragon- and damselflies, which often are only differentiated by the most minute details), but it’s the challenge that keeps it interesting. Below I present a sampling of some of my latest discoveries. 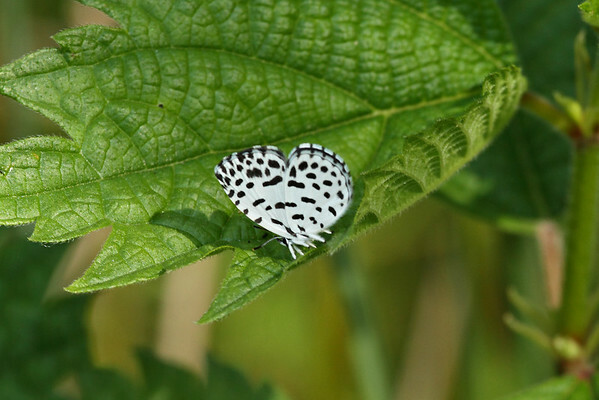 I’ve taken a real interest in the Lycaenidae family of butterflies, the small gossamer-wing species for which this post is titled. 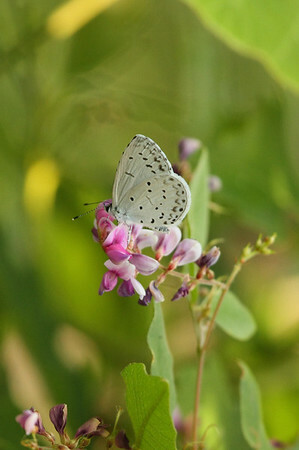 They are quite amazing in their delicate beauty, and test my abilities both with identification and photography. The rationale for inclusion on this list was different for each species. Some are incredibly rare (#1); others serve a particular purpose in my listing (#2); still others are just really interesting and/or unusual birds that I didn’t want to miss (#3-5). Only two birds have so far been ticked off this list. The first was the Fairy Pitta: a lone male bird was singing in a small mountain valley along the Wellbeing Hiking Trail on Jeop-do in June 2013. I have since located five more separate individuals, but alas, a visual opportunity has yet eluded me. The second bird was the Japanese Waxwing: again, a lone bird viewed at a distance on Eocheong-do this past May. I hope to see and photograph this species in Korea or Japan this coming winter. Still, despite nearly 2 years of searching, I’ve only had repeated encounters where the best I can get is an audio recording (no visual), or a glimpse through binoculars at nearly 100 meters. So it was that I joined birding friends Jason Loghry and Mike Friel on an epic journey to track down that most elusive fairy pitta (Jason had never actually seen one either), and hopefully pick up a Japanese paradise-flycatcher along the way. We had a few sites staked out for the fairy pitta, and the birds were surely there, but once again managed to elude being seen. We were quite frustrated after encountering three individual birds, and nary a glimpse was had of any of them. A throaty sound, like a dry cough. Followed by a melodious series of whistles. 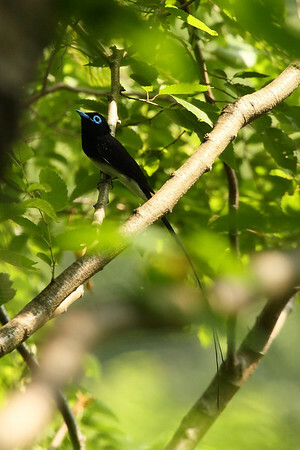 Japanese paradise-flycatcher! 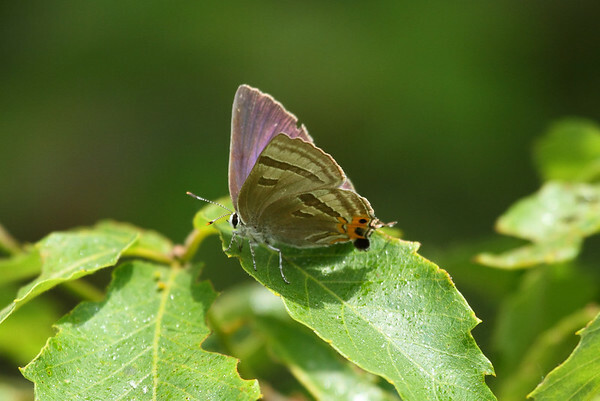 A little searching located a splendid male flitting around the treetops, appearing as a large butterfly. The dense foliage frequently obscured our views, but the bird finally stopped on a semi-open branch long enough to really observe him. What a glorious bird! I was taking an audio recording of the bird, when we heard the same song coming from the opposite direction. There were two male birds, counter-singing to each other. The second male remained unseen, but we heard him singing intermittently throughout our time at the site. 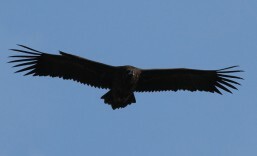 It was one of the most memorable bird outings of the month. Despite missing multiple chances at seeing a fairy pitta, the Japanese paradise-flycatcher more than made up for it. The annual spring bird migration often steals the spotlight in May and early June, and why shouldn’t it? The majority of the world’s bird species embark on incredible journeys every year, frequently travelling further in a single season than many of us do in several years. But birds aren’t the only things that migration during this time of year. There’s something I’ve discovered during my incessant birding, and that is how birding lifts our filters on reality. I used to have conversations with a close birding friend in Ottawa about “filters,” and the different levels we had experienced. I’m not talking about filters for camera equipment; that’s another post for another day. In this case, “filters” refer to our awareness of our surroundings. Birding trains you to pay very close attention to details, even with momentary glimpses. A tiny disturbance in a dense thicket, barely noticeable, can often reveal a hidden bird or nest that can easily be overlooked. As June begins and the bird migration comes to an end (for now), I redirect my attention to these secret worlds. Many insects embark on migrations, of a sort. While these are nowhere near as enormous in scope as the bird migration, it is no less a part of what defines spring in many people’s minds. 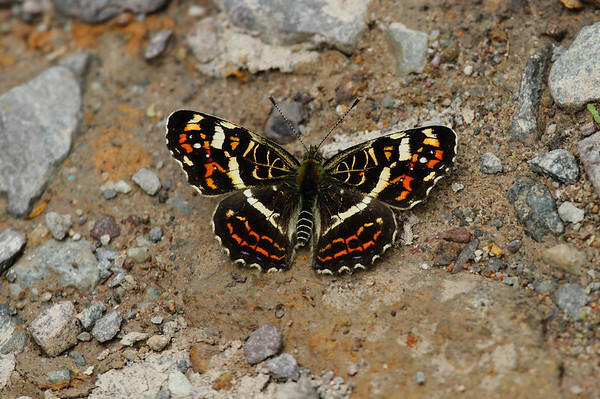 How bleak would a backyard garden seem without intricate butterflies flitting about? 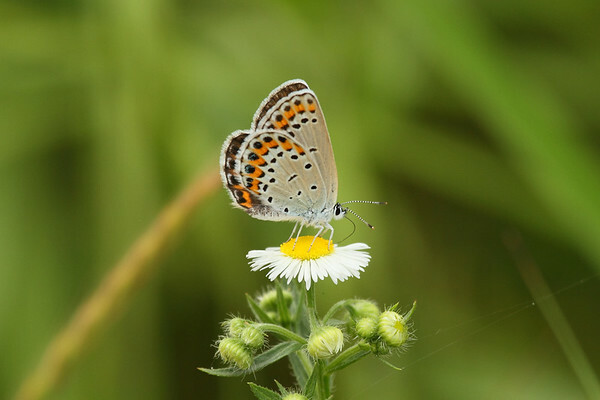 Here are a selection of photos documenting this “secret migration.” Several butterfly species arrive on the Korean peninsula as early as February, but the species shown here were all found in and around Gwangju, South Korea, throughout April and May. I’ve found this species on the slopes of Mt. Mudeung before, always around mid- to late April. 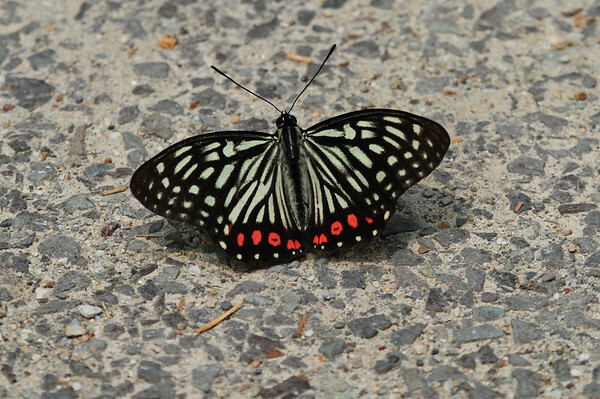 This individual appeared newly emerged and was found resting on the ground. 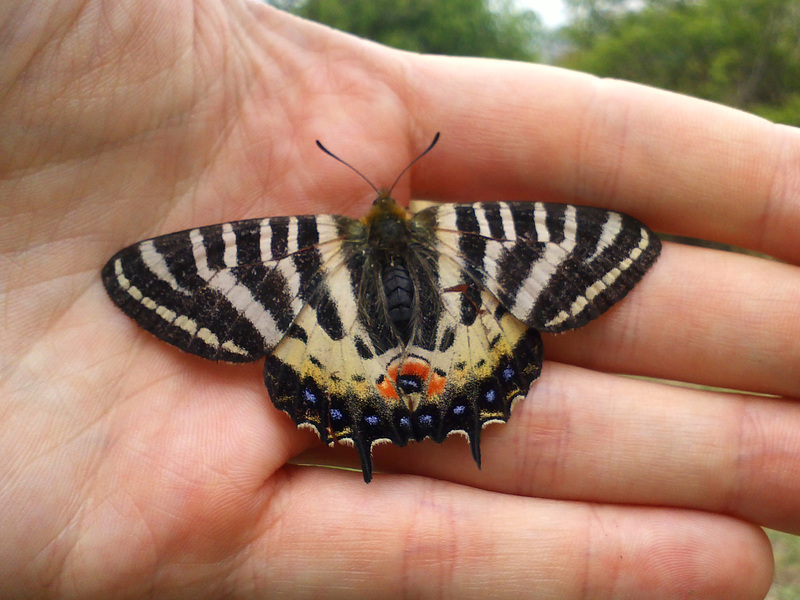 It allowed itself to be picked up, and eventually took off from my hand a few minutes later. 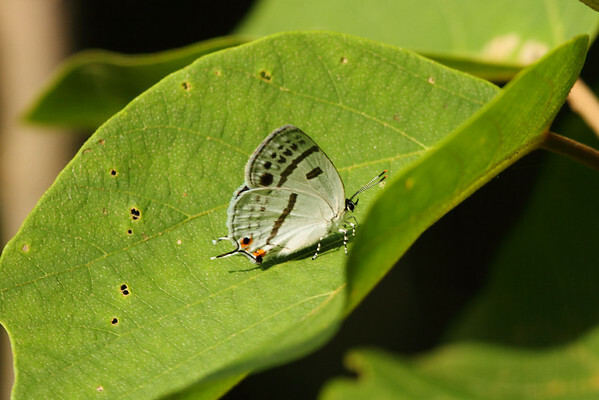 The four species shown above are all members of the Lycaenidae family. 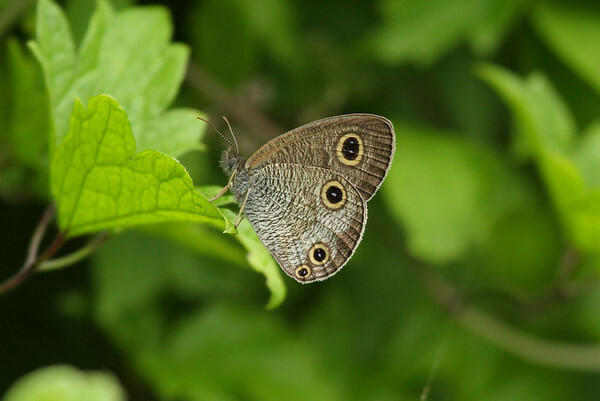 This family of small butterflies can prove to be an exercise in minute details when it comes to identification. 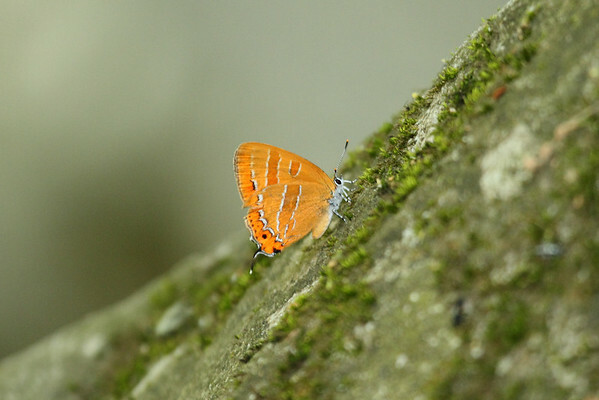 Some species, like the Orange Hairstreak and Forest Pierrot are relatively easy to ID; the other species often require some careful study and research. 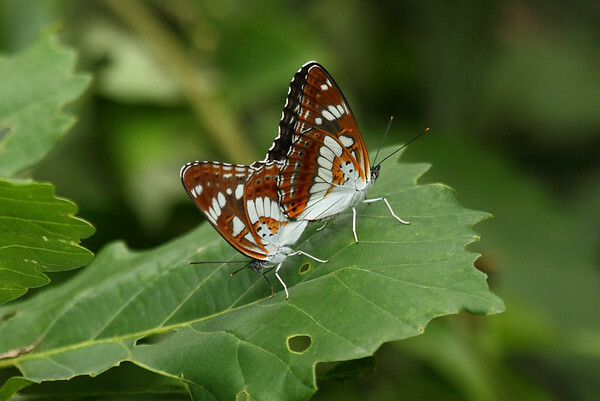 The brushfooted butterflies, family Nymphalidae, are the family of butterflies that the average person thinks about and sees. While not as large as the swallowtails (Papilionidae), these common and brightly colored butterflies liven up our backyard gardens and city parks with their presence. 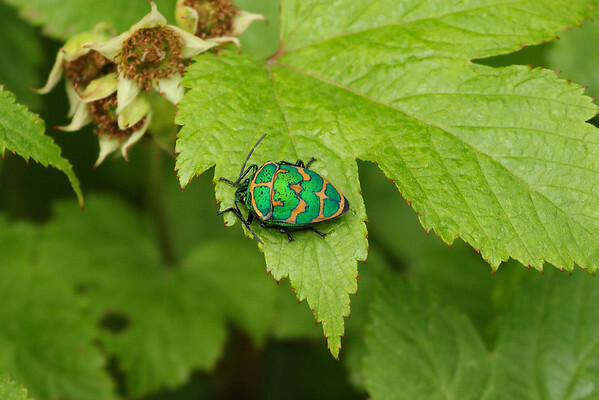 But the “secret migration” doesn’t only apply to butterflies; other insects appear as though out of nowhere once the weather warms up. 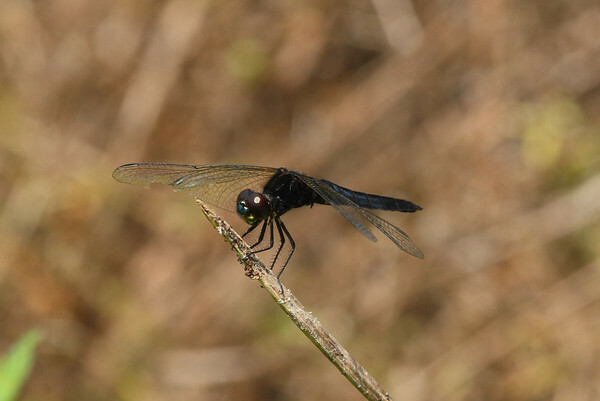 My favorite of these are the dragonflies and damselflies, but I also make a note of other strange and interesting insects whenever I have the opportunity to observe them. 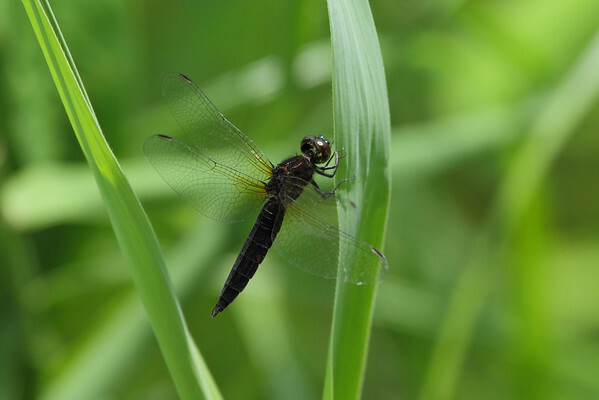 As it does every year, the time is coming when I will switch my attentions from birds and focus more on dragonflies, damselflies, and butterflies. At least until the end of July, when the first of the shorebirds will begin their long journeys back to their wintering grounds. Until then, I’ll keep trying to see through my own filters, and experience the “secret migration” as much as I can.